I am so guilty of excessively using exclamation points. If you read the “About Me” section of this very blog, I even confess/brag about it. I refer to my predilection as deploying an “overabundance” of them. I highly recommend reading the whole column because it makes serious points about language, meaning, and power. Inspired by Ferrante, I would like to talk about a wine. This is much less weighty matter, but here I go. I like this wine. It’s really good. First of all, I dig this label. So. Much. I am very tempted to finish a sentence about it with a punctuation mark that would convey an exuberant mood. Furthermore, I might repeat the use of this mark three to five times for maximum impact. The Siete Red is from Rioja. It’s a blend of 80% Tempranillo, 10% Garnacha, and 10% Mazuelo. The grapes are organic, which is great. Due to no oak being involved, this Spanish wine is very welcoming and open. But the Siete is beyond pleasant, with a little bit of earthiness that leads to a spicy, fruity kick of a finish. Who wouldn’t love to bring this wine to a party because it just looks so cool? Everyone would pour themselves a glass. Additionally, it’s not too pricey. I got it for 14 bucks at Dandelion Wine. If you’re also a fan of label design and some of the considerations both artistic and practical behind their creation, please read my Q&A with Randall Grahm of Boon Doon Vineyards. 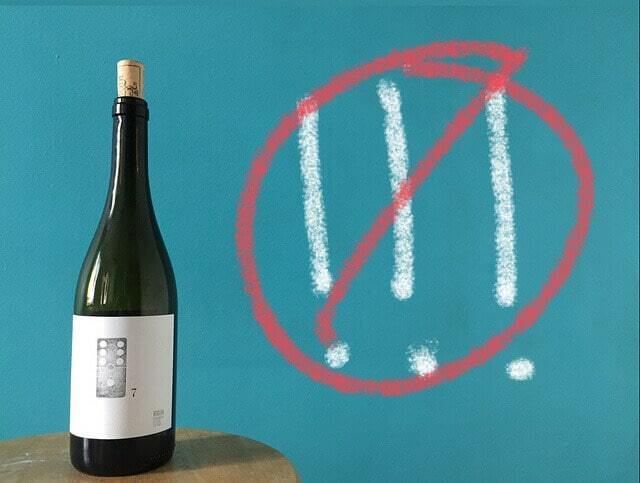 Or find out what five graphic designers thought of another Spanish wine label. 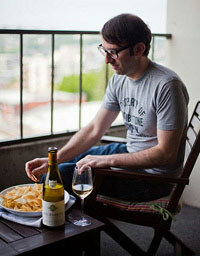 Finally, get to know a creative agency that chimed in on a label and wine discovered via my blog. This sounds just like me!!! Whenever I write I have to go back in and remove the explanation points, at least most of them. 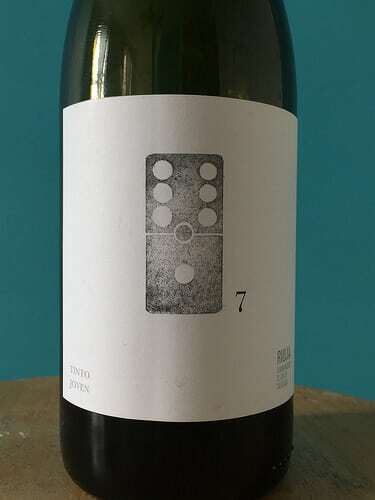 I live in Spain, so I will check out this wine too! If I see it in the shop, I’m sure I’ll recognize the label. Hope you can find the wine, let me know what you think. The label does make it easy to spot, and that’s another reason for a wine to have a compelling label.